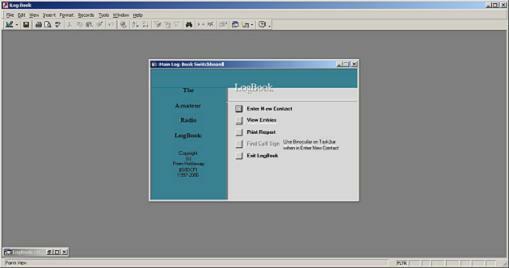 This is my original computerised Amateur Radio logbook and was designed in Access so you must have Microsoft Access 2000 or later to use it, although it is not recommended that you use this version for office 2007 or office 2010. For some reason only known to Microsoft. It will cause Microsoft office 2007 and 2010 to reinstall itself, which can be a massive hindrance. 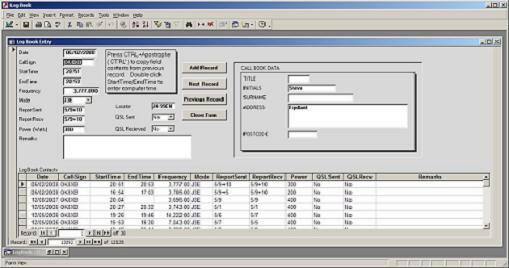 It is recommended that you use the version for office 2007, then you will need to have the Whitehorse, Radio Amateur Callbook for that to work correctly. (You must have Microsoft Access 2000 or later for this file to work). Also for this file to work correctly. Unzip it to a directory on drive C:\Program Files\Logbook. Make a short cut to it and away you go.